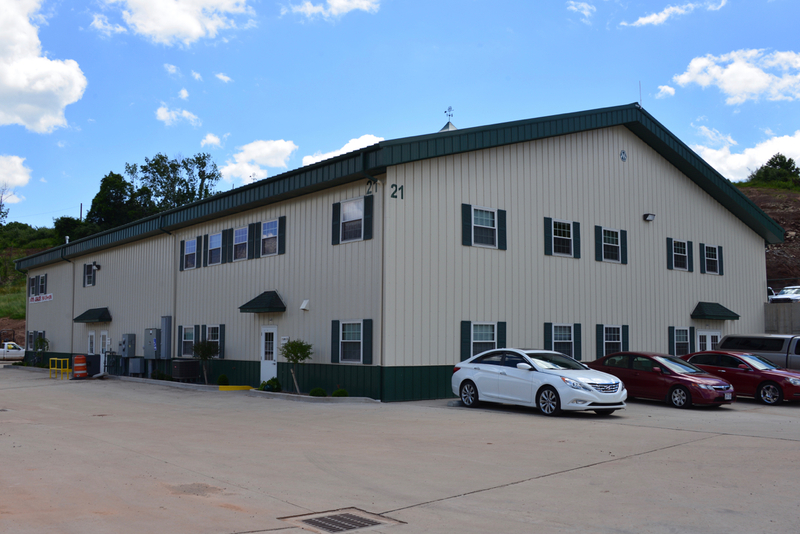 Space is currently available in Building 21, Unit B located at 2017B State Route 821, Marietta, Ohio 45750. It is medical office ready. Features include 3916 sq ft upstairs, 144 sq ft down, I-lockable storage area and emergency exit below, 2 ADA restrooms, 1 private ADA restroom with shower, 4-6 offices or exam rooms, I-secure file room, I-secure data room with mini-split, security cameras, security monitors inside entrances, ample storage closets, up to 24 parking spaces, 11 of which are ADA-compliant. This is a newer building. Buildings are fully customizable to meet lease-holder requirements. All properties include security cameras, concrete entrance, driveway, and parking spaces. Directory signage at entrances and on buildings are provided by BCP.